Meet Ruth from Cary Library and a representative from "Kids Cooking Green at the Market Manater's tent to get to know your local farms and hear interesting stories. Did you know that one farmer plants vegetables on his Truck? Come hear his story. Or meet farmer Rita. She has a refrigerator full of lady bugs. Free $2 coupon with compliments! Call Cary Memorial Library for reservations. 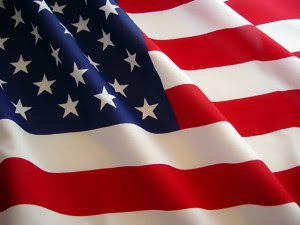 Lexington’s rich involvement in early American history is an ideal backdrop for the upcoming 4th of July celebration! For those of us living in Lexington, we enjoy the historic preservation of Lexington and the year round events that highlight our heritage. Many people visit Lexington to take in the Battle of Lexington Green, the Buckman Tavern, the Hancock-Clark House and other sites around our charming town. Whether you’re visiting Lexington for the 4th of July or you currently live in Lexington; you won’t want to miss out on these unique celebrations in and around Lexington! - This event in nearby Concord is a day filled with fun! From a Bicycle and Tricycle Parade to kick off the day, to live music, marionette performances, great food and games; it’s a great way to celebrate with the entire family! View more information about the Picnic in the Park. 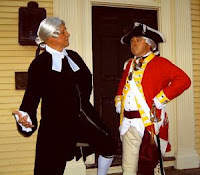 - This unique celebration will feature a proclamation of the Declaration of Independence by Reverend Jonas Clarke and the British Response presented by General Thomas Gage. Lexington Militia member, Levi Mead will give a stirring announcement of Lexington’s Declaration of Independence to recount the town of Lexington’s own history. Along with these speeches of historic importance, the Colonial Singers will entertain with song! This event is free and open to everyone- don’t miss out! As Lexington gears up to celebrate our nation’s independence; I hope you take the opportunity to reflect on our history. Feel free to take a tour this week of one of Lexington’s historic sites or invite friends and family to share in the celebrations mentioned! If you have been thinking about relocating to Lexington, or need to sell your Lexington home; please let me know! I have years of experience as a Lexington Real Estate agent and can help you through each step of the home buying or selling process. I would enjoy the opportunity to answer any questions you may have about the Lexington Real Estate market and show you around this great town! It's time to kick off the summer with magician Steve Rudolph on a magical journey around the world. No passports needed - just a love of comedy, puppets & magic. Lots of laughs and audience participation. So pack your bags and come with Steve "Around the World with Magic. For families with kids ages 4-11. Many are taking advantage of interest rates at historic lows, either by re-structuring debt with a refinance or purchasing a new home. However, the recent economic crisis has created even tougher guidelines and credit requirements and there are some things that consumers must be aware of when applying for a loan. Leading nationwide credit expert and President of Credit Resource Corporation, Linda Ferrari, developed the top 10 credit don'ts during the loan process, to help you get your arms around those things that can unknowingly wreak havoc on your loan transaction. 1. Don't do anything that will cause a red flag to be raised by the scoring system. 2. Don't apply for new credit of any kind. 3. Don't pay off collections or charge offs. 4. Don't max out or over charge on your credit card accounts. 5. Don't consolidate your debt onto 1 or 2 credit cards. 6. Don't close credit card accounts. 8. Don't allow any accounts to run past due-even one day! 9. Don't dispute anything on your credit report. Top 10 Projects that Add Value to Your Lexington Home! Making updates to your Lexington home is a great way to keep things fresh and exciting! Whether you are hoping to sell your Lexington home in the future or just want to keep your home up to date; there are some key changes that will make a huge impact in your home! I’ve gathered up the top 10 projects that will improve your home’s value and overall environment. Take a look! 1. Top Budget Friendly Project: Clean and Conquer Clutter- If you're on a tight budget, cleaning and decluttering is by far the most cost-effective way to add value to your Lexington home. A clean and clutter-free home looks larger and more livable and makes a great first impression on homebuyers. 2. Top Energy Efficient Project: Add Insulation- Energy-efficient upgrades have two advantages: they add value to your Lexington home, and they save you money in the long run. The most inexpensive way to increase your home's energy efficiency is to add insulation. Proper insulation can reduce heating and cooling costs as much as 30 percent and make a home feel more comfortable; which is especially nice during the chilly Lexington winters! 3. Top Outdoor Structure Project: Build a Fence- Adding a fence to your property can enhance its appearance, give you extra privacy and add value to your home overall. If you're trying to sell your home, buyers with children or pets will appreciate this addition. Wood and vinyl are two popular options, but before you start buying supplies, visit the Lexington Government website for local zoning codes and homeowners association rules. Because Lexington is a historic community; there are certain guidelines set in place for preserving the town’s atmosphere. 4. Top Big Ticket Project: Finish the Basement- If you're willing to take on a major remodeling project, finishing your basement can add value and more usable space to your Lexington home. It's a far more cost-effective way to add living space than adding on a whole new room. 5. Top Home Exterior Project: Repair Gutters- While they're certainly not a home's most exciting feature, gutters should be at the top of your list of exterior updates. Gutters keep the rest of your home's exterior -- siding, windows, foundation and doors -- free from water damage, so maintaining them is crucial to maintaining your Lexington home overall. 6. Top Outdoor Living Project: Add Outdoor Lighting- Adding outdoor living space to your home is almost like adding square footage, and more square footage equals more value in your Lexington home. If you have a patio or deck that doesn't get much use, start making it more welcoming by adding lighting. This will instantly create a space to entertain well into the evening! 7. Top Landscaping Project: Tidy Up Your Lawn- When it comes to adding value to your home, curb appeal is key. A patchy lawn looks sloppy and detracts from your Lexington home's overall appearance. Before you take on any major landscaping projects, start small by getting your lawn in shape. Reseed any bad areas and have the soil tested for any chemicals needed for healthy grass. 8. Top Storage & Organization Project: Maximize Storage Space- Real estate professionals agree that ample storage space tops most homebuyers' wish lists. If your Lexington home has a large garage and walk-in closets, you're in great shape. If not, you can make the most of the storage space you do have with organizers. 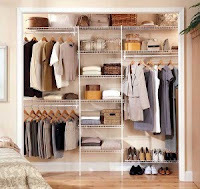 Adding organizers will create a more custom and attractive appeal to your home. 9. Top Bathroom Project: Refresh Fixtures- Little changes go a long way when it comes to bathroom updates. Simply replacing old fixtures and hardware can give an outdated bathroom a stylish, contemporary look. If you want to go one step further, consider updating your sink or vanity. 10. Top Kitchen Project: Upgrade Appliances- The kitchen is one room where upgrades almost always bring a large return on investment in the Lexington Real Estate Market. However, you don't have to gut your kitchen and tackle a major remodel to add value. One way to improve your kitchen is to simply replace your old appliances. Stainless steel is the current standard, but you don't have to buy the commercial-quality Viking range or the most expensive Sub-Zero refrigerator. Any updated appliances will look better, run better, and give your kitchen more appeal. These are the top projects that seem to stand out when thinking of ways to refresh and upgrade your Lexington home, although there are many other things you can do! I hope these tips have been helping and perhaps have sparked ideas for projects in your home. If you have any questions about living in Lexington or are considering selling your Lexington home; feel free to contact me! I am always excited to hear from buyers, sellers and those enjoying their home in Lexington. I would enjoy the opportunity to work with you to sell your Lexington home or buy a home in Lexington that fits your needs and lifestyle. I look forward to hearing from you! Explore the historic "Battle Road" which travels part of the route which Paul Revere and Samuel Prescott rode to warn the Colonists of the coming of British troops. 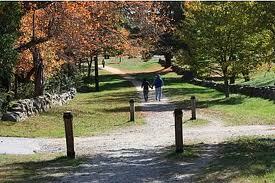 The Battle Road Trail preserves sites where Colonial militiamen and British soldiers clashed on April 18, 1775. The route passes battle fields, wetlands, colonial homes and the recently restored Hartwell Tavern. There is a choice of a 6 or 10 km (3.7 or 6.2 mile) trail. The walk route is rated easy, suitable for strollers but not for wheelchairs. Ask for the Walk Box at the visitor center service desk. If you're considering selling your home in Lexington MA, there are a number of factors you should consider regarding the resale value of your property. Some of these issues may devalue your home or scare some potential buyers away entirely, even if your home is an otherwise outstanding property! Consider these eight factors when listing your home. 1. Location, Location, Location. Many real estate television shows repeat this phrase over and over. Buying a home in an area that provides residents with access to services and effective transportation is important - though many buyers don't wish to live too close to airports and busy roads for fear of noise. Visual appeal is another concern. Cell phone towers and power lines can be seen as eyesores - or possibly even having potential health hazards. Local school closures can also deter potential buyers who have children or who are considering having children in the near future. Some buyers may be leery of purchasing homes that are on flood plains. To ensure maximum resale potential, consider how many of these types of issues exist near the properties you're considering. Remember, though, there's no way of knowing exactly how a neighborhood will evolve over time. 2. Good Renovations Gone Bad. If your home looks like a DIY nightmare, this can definitely devalue your home. Though putting money into renovations generally increases the value of a home, poorly done renovations can have the opposite effect. If buyers feel that the renovations will have to be redone, there's a good chance they'll make a lower offer or keep looking for a move-in ready home. 3. Overly Creative Customization. That bright pink feature wall might have seemed like a good idea at the time, but the truth is that unusual paint choices - both inside and outside the home - can turn buyers off, even if your customization is the cutting edge trend in current home design magazines. Customizing spaces so that they may not be functional to future buyers, like turning the garage into a home gym or a granny apartment, might make some buyers reluctant to buy your property. The same can be said for unique landscaping choices or renovations that are too high scale for the house. A professional chef's kitchen or marble bathrooms in a modest home suited to first-time buyers won't likely provide a good return on investment. 4. Unappealing Curb Appeal. The first thing potential buyers will see is the exterior of the property. If the house appears to be outdated or in poor repair on the outside, people will assume it is the same for the inside. Water features or swimming pools and overly landscaped green space may turn off some buyers since people tend to associate high maintenance yards with expensive upkeep and unnecessary headaches. Old fences and sheds can also devalue your home, especially if they look like they're in dire need of replacement. Keep the gardens weeded and the lawn mowed so that potential buyers can see how nice the property is, inside and out. 5. Pets Gone Wild. Many people won't mind buying a home that has had resident animals, but no one wants to live with constant reminders of former owners' pets. Damage to carpets, walls or a strong smell of animals will put off some buyers - especially those with allergies. Consider letting your pets live elsewhere while the property is for sale. Also, a good cleaning and repairing of any visible damage will help to mitigate the potential devaluation of your home associated with pet ownership. 6. Not-So-Nice Neighborhood. (nothing to worry about in Lexington MA)A dodgy neighborhood with a high crime rate or homes on your block that look unkempt can scare potential buyers away. Even if your neighbors have unusual-colored homes or have made strange additions to their homes, this can be perceived by potential buyers as an eyesore. 7. Sinister Reputation. Well-known crimes, deaths or even urban legends associated with your house or neighborhood can decrease the value of a home immensely. Most people don't want to live in a home where they feel that something awful has happened, much less move in with your alleged resident ghost! Though these kinds of issues may be out of your control, they may certainly have an impact on the resale value of your home. 8. Frightful Foreclosures. Many buyers are leery of purchasing foreclosures that are being sold on an "as-is" basis. The fear is that the home could be a money pit or require a huge amount of repairs before being move-in ready. Some good homes may be available through foreclosures, but it's important to do your research, ask lots of questions and don't be afraid to bargain. It's also crucial that you get a home inspection so that you know exactly what you're getting into. There's a good chance that some work will be required when buying a foreclosure, but you may get great value for your money if you're willing to put in a little work. The Bottom Line. Neighborhoods change over time, so there's no way to be totally sure when you buy a property how the area will look in the years to come. However, you should always make your best efforts to address any issues with your property that are within your control. Play up your home's strong points and get involved with your realtor to ensure that any special features of your home and neighborhood have been highlighted. Avoid These Mistakes when Buying a Home in Lexington! There are a lot of great reasons to buy a home in Lexington MA! The national housing market has been leaning towards buyers since home prices are the lowest they’ve been in years and rates are at an all-time low as well. Perhaps you’ve begun your search for a Lexington home and are excited by all of the beautiful properties currently on the market. If you are relocating to Lexington; you’ve probably taken the time to research schools, shops, restaurants and other local attractions which have confirmed in your mind that Lexington is the place you want to settle down. However, no matter where you decide to buy your next home; there are a few things to keep in mind before getting too far into the buying process that will help you avoid costly mistakes. The housing market can be overwhelming at first, but if you’re armed with these tips; you’ll be sure to navigate through the Lexington Real Estate market with ease! Mistake #1: Waiting for the market to improve or not buying at all- No one can predict precisely where the market is going, so trying to time your Lexington home purchase with the bottom of the market is risky. All the time you spend procrastinating on purchasing a home, you could be building equity, getting tax deductions and enjoying the many other benefits of homeownership! Mistake #2: Making an offer without contingencies- Having a back-out plan is a must for smart home buying. If the home has an irresolvable flaw, it doesn't appraise for the purchase price, or your lender refuses to fund your loan, having contingencies on your contract gives you the right to cancel the transaction. Mistake #3: Not reading the fine print- It’s smart to have your Lexington Real Estate agent review all your paperwork and discuss it with you so you don’t get caught off guard at closing. There are a few documents and items that are truly critical, and you can request a copy of these in advance. This gives you time to review them and ask questions before closing. Mistake #4: Forgoing a home inspection- Even if a home appears to be in perfect condition, it's a mistake to assume that it's actually problem-free. Even brand new homes can have defects, so getting a professional inspection before making the commitment to buy is crucial. Be sure to attend the inspection so the inspector can explain any issues. Mistake #5: Falling for love at first sight- If you don't shop around the Lexington Real Estate market and see what else is out there, you could miss out on a good deal or potentially regret your purchase. While you don't need to visit every home in the neighborhood, you should compare at least three homes before you make a decision to ensure that you're getting the right house at the right price. Mistake #6: Buying a house you can't afford- It seems that our nation is learning its lesson in spending more than you can afford, and it’s no different in your Lexington home purchase. Just because you get approved for an larger loan than you expected; doesn’t mean you should buy a home at that price. Be wise in thinking through what you can actually afford and factor in any repairs or updates you plan on making in the home. Mistake #7: Thinking short-term- The Lexington house you purchase should be a place that feels like home to you and your family, but it's important to remember that it's also a huge investment. When shopping for a home, it pays to think about resale down the road. Search for homes in sought-after neighborhoods, and look for features that future buyers will want, such as a great kitchen and lots of storage space. Mistake #8: Not getting pre-approved before house hunting- Before you start house hunting, narrow down your price range by getting pre-approved. Shop for a Lexington lender or mortgage broker you can trust. The mortgage pro will review your credit, income, assets and debts, and recommend a mortgage with monthly payments that fit your budget. Not only does this let you know how much house you can afford, it also lets sellers know that you're serious about buying. I have enjoyed living in Lexington for years and my goal is to help others find that same sense of “home” that I’ve found! I hope these tips are helpful to you and, as always, please let me know if you have any questions or if you need a Lexington Real Estate agent! I’d love to show you around Lexington and the homes that are currently on the market. Feel free to contact me today! 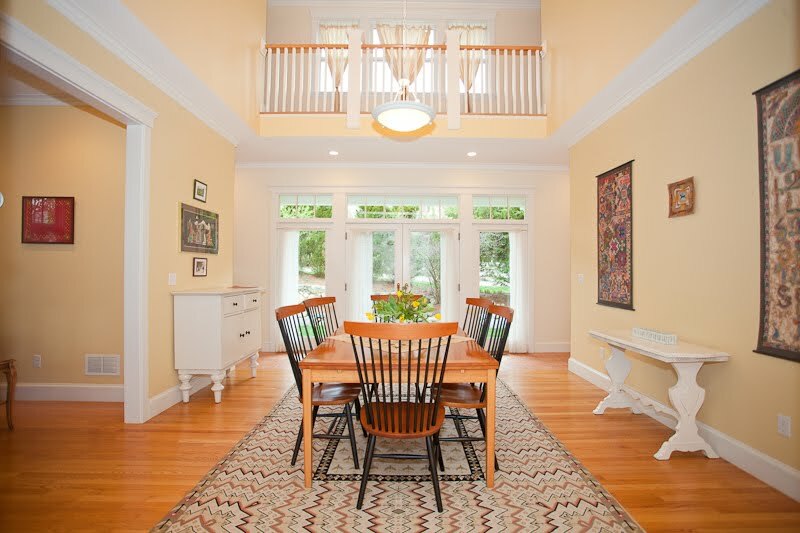 Homes in Lexington MA are some of the best to choose from in the country! Many offer ideal locations and there is always a wide variety to fit any need or lifestyle. What may be a little harder to determine when browsing the Lexington Real Estate Market are the neighborhoods. I’ll be the first to tell you that you can’t really go wrong with any of the Lexington area neighborhoods as their unique personality, safety and overall appeal are what beckon many to buy a piece of Lexington Real Estate in the first place! But maybe you’re figuring out after pursuing available homes in Lexington area online that there really is a tough decision when deciding on your ideal neighborhood. After all, a neighborhood is the welcome mat of your home! So, I’ve pulled together five key ingredients that will lead you to that one area you will want to find your home. 1. Figure out Your Ideal- It’s easier to find that perfect neighborhood when you have a strong sense of what you want. Make a list of those “must haves” and “would like to haves” to start to narrow down your search. Some points to consider would be: Is this a good area for children? How far you’re willing to commute? The type of home you want? 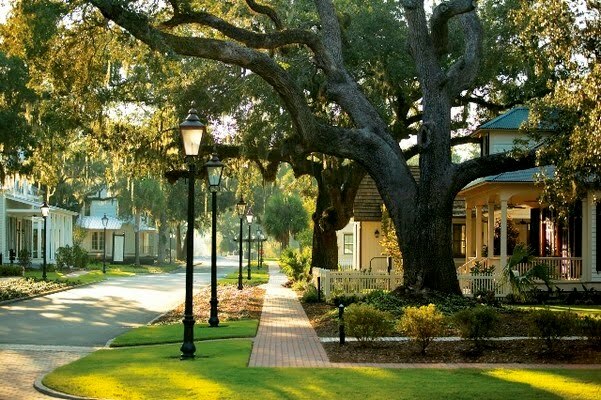 Do you prefer a new or historic neighborhood? Remember to also note what you don’t want in a neighborhood such as homes that are too close, proximity to train or busy roads, etc…. 2. 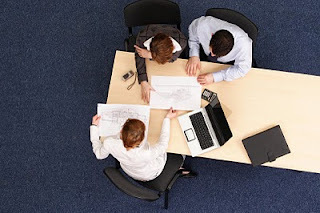 Narrow Down the Area- If you’re moving to Lexington or any of the surrounding areas, you’ll have to do a little more research, but starting with closer proximity to your job may be a good idea. If you already live in Lexington, you’ll have a good idea of what area of town you’d like to live. Either way, narrow your search down to an area of town that really plays into your interests and lifestyle. 3. Round Up The Neighborhoods- Begin doing research on the neighborhoods in the area of town you’ve chosen. There are unlimited resources online for finding great neighborhoods, but asking friends or real estate agents for their opinion is a good idea too, especially if you’re from out of town. Be sure to gather information on: local attractions, schools, crime statistics, neighborhood associations, attractions, parks and recreation, along with any other points of interest for you. 4. Use Your Senses- Once you’ve narrowed down the Lexington neighborhoods that have made your top choices- visit them! Use your senses to get a good feel for the neighborhood. Look around at curb appeal, visit the area at different times of the day to see traffic patterns or how well lit it is, look around for signs of trouble such as empty buildings or vandalism, talk to people about why they like or dislike the neighborhood, note local restaurants or area grocery stores for convenience. 5. Pick Your Home- Now that you’ve found your neighborhood, begin searching for available homes. Begin with determining how much you can afford, compare loan options, envision your ideal home and then begin the hunt! If you are relocating to the Lexington area and want more information on the neighborhoods; please let me know! I’m very familiar with each area and can answer your questions! If you’re coming to visit or live in the Lexington Real Estate area and would like to visit the neighborhoods; I would be happy to show you around. As always, I’m here to help! Before you head out to house-hunt in Lexington, here are 5 main things to know about mortgage lenders and getting a home loan in 2011, as pointed out by homebuyinginstitute.com. These points will help you get a better understanding of what you can expect. 1. It's harder to get a mortgage loan today- Due to the economic downturn in 2008, lenders have become much more strict when it comes to home loans. No longer will we see claims of “easy credit” as buyers will be expected to bring more to the table. 2. Good credit scores are more important than in the past- Credit scores did play a role in the home loan process, however, did not have the power to make or break a deal. In today’s market, lenders can turn you down based simply on your credit score. In addition, your FICO score will also play more of a role in the interest rate you get on your loan. While your credit score is not the only requirement for getting a home loan, it is the most vital. The bottom line? If you want to qualify for a home loan in Lexington, you’ll need a good credit score. 3. Down payments are a must- While the days of a no-money-down mortgage loan used to exist, they don’t any longer. 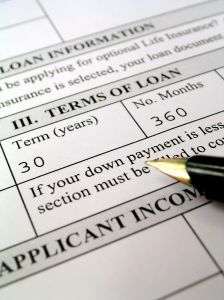 Many home loans in 2011 will require at least 5% as a down payment. Of course an FHA loan will accept a lower down payment if your credit is in good order, but putting money down is necessary in today’s market. The best advice if thinking of buying a Lexington home in 2011 is to start saving! You’ll want enough in the back for a down payment as well as cash for closing costs and any additional expenses that will arise. Lenders will want to be sure that you’re well prepared to take on a home mortgage. 4. ARM loans only work in certain situations- Before the decline of the housing market, Adjustable-Mortgage rates were a common way to finance a home, and many feel they played a major role in the demise of the real estate market. If you failed to sell or refinance your home before the first adjustment period on the loan, the monthly payments increased and this left many in a tight spot. It’s vital to know whether a fixed or adjustable mortgage is right for you. Your Lexington Real Estate agent will be able to explain the pros and cons of each so that you feel completely comfortable with your decision. 5. Home loan rates will probably remain low throughout 2011- The great news is that experts say that home loan rates will remain low, most likely under 5%, for the entire year! While it may be a little harder to qualify for a home loan in 2011, the lower interest rate can save you thousands of dollars in the long run! Buying a Lexington home can be an exciting and a little overwhelming all at the same time! There’s a lot of new information out there regarding the Lexington Real Estate market and it may be hard to sort through it all. 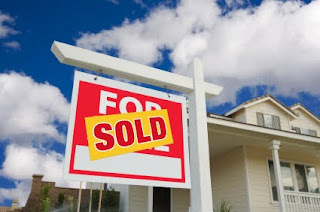 As a Lexington Real Estate agent with years of experience in real estate and with buyers and sellers in Lexington; I can help the home buying process run as smooth and efficient as possible! If you have any questions, I’d be happy to talk with you about the new home loan guidelines or any other questions you may have. I would also love to show you around Lexington and as well as any of the available homes on Lexington’s Real Estate market. I look forward to hearing from you and helping find the home of your dreams! Host a Successful Open House for your Lexington Home with These 6 Tips! It seems as though summer has officially arrived in Lexington MA! An array of community activities and events, along with great weather, gives everyone the opportunity to be outdoors and enjoying all that Lexington has to offer. Many Lexington homeowners find that now is a great time to tackle home projects or spruce up their home in order to sell. As a Lexington Real Estate agent for many years, I can attest that hosting a great open house can play a large role in how quickly your home sells. 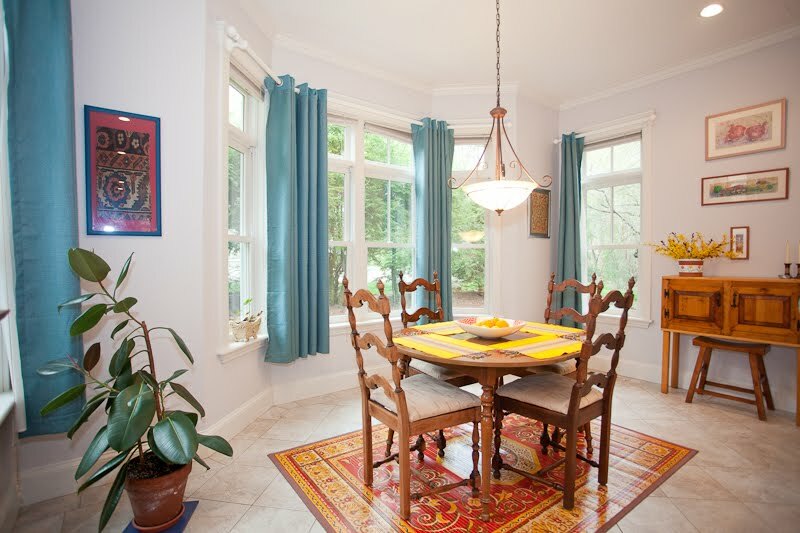 Below are six great tips to ensure a successful open house! 1. First Impressions- Believe it or not, a nice doormat or attractive porch can really set the tone for the entire open house. If there’s an old doormat, chipped paint or nothing special about the entrance to your home, buyers may feel that you don’t really care. A welcoming setting from the start will instantly let Lexington buyers know that your home is cared for and that each area of your home is well-maintained. 2. Make it Generic- It’s great to make your home personal; however your pictures, children’s art or your “to do” list on the refrigerator can be a large distraction to potential buyers. They need to be able to envision themselves in your home, so putting away those personal items will help buyers picture their life in your Lexington home. 3. 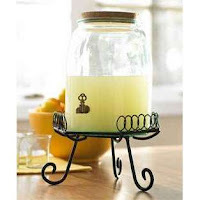 Clear Counters- Look at your kitchen or bathroom counters from a outsiders viewpoint. Do you have too many appliances cluttering your kitchen counter? Clearing this space will give the appearance of more room for cooking or their own storage. If your bathroom counters are filled with perfumes, toothbrush holders, etc… take time to put them in cabinets or drawers so buyers can see the actual size of the space. 4. Set the Table- This may not seem necessary, but having your dining room table set with nice place settings add a touch of class and can help the Lexington buyer envision hosting their own dinner parties. 5. Get to the Heart- The best way to appeal to the buyers’ heart is through offering something special when they walk in the door. Whether you bake fresh cookies, have coffee or lemonade for them on your counter, these added touches will set your home apart. Lighting a mildly scented candle and having your home appropriately heated or cooled for the day’s weather can make your home instantly feel comfortable to the Lexington home buyer. 6. Don’t Stick Around- While it may be tempting to want to hear what the potential buyers have to say, it can be awkward when the seller is present. Buyers will feel that they can’t openly express their thoughts to the agent and will not feel as comfortable when looking throughout the home. Even if you take a walk through the neighborhood, being away from the home during an open house can make all the difference. If you are still considering putting your home on the market, but have questions about the home selling process or the Lexington Real Estate market; please let me know! I understand that selling your home can seem overwhelming at first, but as a Lexington Real Estate agent, my goal is to break the process down into smaller steps and help you along the way. Please feel free to contact me today with any questions or sell your home! We all know Lexington MA to be the place for the infamous “Shot Heard Round the World” which began the American Revolution in 1775. For those who live in Lexington, this history has become a part of the town's culture and plays a part in the atmosphere and everyday life. This historic town also hosts many visitors each year who want to take in a bit of America’s history. But, whether you live in one of the beautiful Lexington homes, are thinking about buying a home in Lexington, or just passing through; you’ll want to be sure to visit at least one, or all of the following Lexington treasures! Built circa 1710, the Buckman Tavern was where several dozen minutemen gathered in the early hours of the morning on April 19, 1775, to await the arrival of the British expedition in Lexington. Buckman Tavern is open daily April - October. Group tours may be arranged by appointment year-round. Call 781–862–5598 for more information. The Old Burying Ground dates back to 1690 and contains the remains of many of those who lived in Lexington during the Revolutionary period. It is fortunate that the grave markers here, mostly made of slate, have survived the weathering effects of time very well. Names, dates, and inscriptions are easily read, including some rather macabre epitaphs. Individual stone carvers’ styles varied as did the general designs when customs changed. Carved skull and cross bones of the 18th century gave way to more classical style of urns and willows in the early part of the 19th century. This outdoor attraction is open all year. The first conflict of the American War for Independence began on the morning of April 19, 1775 with the “shot heard round the world.” This site is open all year with historical markers to enhance your experience. There are many more sites to see in Lexington, but I’ve listed a few of the most popular historical attractions that I think everyone should visit. 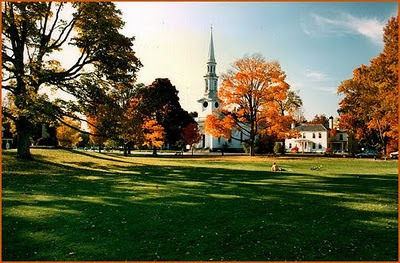 If you have any questions about the historic town of Lexington or about Lexington MA Real Estate, please let me know! Helping you find your Lexington home is my passion and I would like to help you in your search! Kick off the summer with magician Steve Rudolph on a magical journey around the world. Come enjoy comedy, magic, puppets and more. Audience participation encouraged! Tickets are available in the Cary Children's Room beginning Monday evening, June 13th. An Elegant Soiree at Hancock Clarke House. 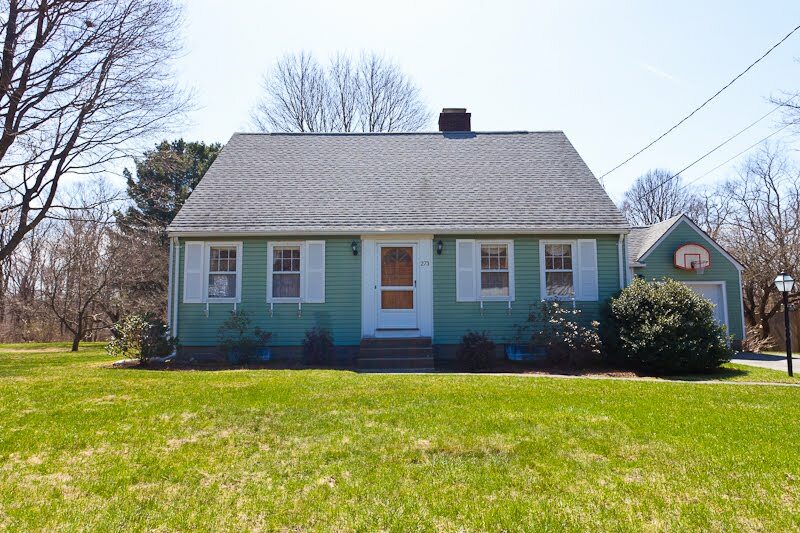 Here is a list of our Lexington MA homes for sale. Lexington MA fast stats for the month of May 2011. Check back again for an update on the latest real estate market activity in Lexington. 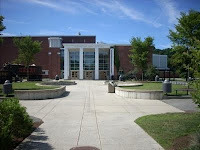 View our Lexington MA Facebook Page For Current Events & Area Resources! Will you be leaving Lexington and traveling in a car with your family now that summer is coming? Here are some great Car Travel Activities For Kids! Time flies when you’re having fun - The miles fly by too! 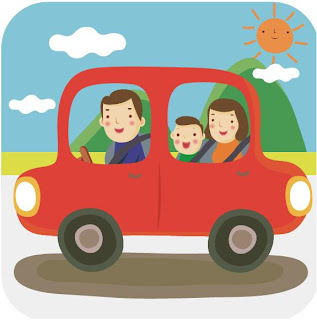 You can make a long family car trip seem a lot shorter if you have fun with your kids along the way. Plan ahead with a few car activities, and making the journey can be as much fun as the destination. Here are a few ideas to get you started. Give everyone a big spiral bound sketchpad and a box of crayons or markers. Each day of the trip or for each event along the way, draw a picture of what you did that day, or draw a map of where you went, and write about it. You can also paste in souvenirs. It surprising how many songs you think you know, but you don't really know all the words. Have a singing marathon and learn the old classics by heart. Tell them that this money is for snacks, treats, souvenirs etc. Help them learn to budget their money and make good choices. Give your kids their own copy of a map of where you are going. Show them how far you have come, how much further there is to go and let them mark it with a crayon. Every time someone asks "How much further?” let them see for themselves. You might also like to get a compass and show them how it works along with the map. The weirder the gum the better. Get it at the rest areas and try all the different flavors. Print a U.S. map off the computer and color in the states as you see license plates from each one. See if you can get all 50 states between Memorial Day and Labor Day. You might even record the time and date and the state where you saw it. This can be a family project as you build your "collection" of license plates together. You just need a piece of string for this one. See if you can make "Jacob's Ladder", "Kitty Whiskers", or play Cats Cradle! Do your children know how to play classic board games like Chess, Backgammon, Checkers, or Chinese Checkers? What better time to learn than in the car to pass the time! The magnetic car versions of these games are nice because they are small and compact, and have easy ways to store the pieces so they don't get lost. Count the cows you see on your side of the car. If you pass a cemetery on your side of the car, you lose all your cows. The one with the most cows wins. This passes the time quickly in the car for the reader and for the family members who are listening. Have a contest to see who can build the best item that relates to where you are going. Use a shoebox to store the Legos, or large zip lock bags. Pick an object and have everyone guess how far away it is, then clock it on your odometer. Have everyone think of different "favorite" questions for the group. What's your favorite... movie, flavor of ice cream, song, game, toy, place to visit, restaurant, book, animal, fish, etc. Be creative and don't forget to ask the driver too! Give everyone a sheet of aluminum foil. Have them mold it into anything they want: animal shapes, Frisbees, balls, jewelry, crowns, headband, necklaces and masks. Be creative. It’s inexpensive fun and easy to clean up. Toddlers love this one too. Remember that it's sometimes nice to sit in the back of the van with your kids while Dad is doing the driving and play some games right along side them. You might be surprised at how much fun you have too. Happy travels! Laurel Smith is a former schoolteacher and currently a stay-at-home-mom who has logged thousands of road trip miles both as a kid and a mom. If you pass her on the highway, you might catch her singing loudly in her minivan while her three children sing backup. Visit the 1699 Historic Winslow House in Marshfield, the homesite of Mayflower passenger and Marshfield founder, Edward Winslow. 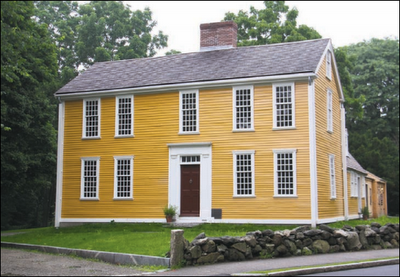 The home, virtually untouched over the years, was occupied by the Winslow family until 1820 and was then owned by renowned statesman Daniel Webster. Have lunch at the waterfront Fairview Inn in Brant Rock with your choice of entree. Tour the 1809 "King Caesar"House built by Ezra Weston, whose firm was the largest mercantile operation on the South Shore. Its elegant 19th century furnishings and perennial & herb gardens enhance the site. Best cities 2011: Clusters of Excellence. Find out why certain suburbs of NYC, SF, Boston, and Cleveland are topping our lists as the best cities to live and learn. By Jessica Kelmon Print Email. Among the 67 cities picked as "Top education towns" this year, a few geographical regions stood out. Six out of the seven California cities are located in the San Francisco Bay Area. Similar clusters of high-performing schools emerged in suburban areas surrounding New York City and Boston. A number of towns near Cleveland, OH also caught our eye — offering quality schooling and more affordable homes. Lexington's 600 teachers have taken more than 700 courses — on topics they’ve requested — to improve their techniques and class presence. In Weston, groups of educators take on long-term professional development projects to gather data and research solutions: One group of teachers is studying the achievement gap; an elementary school is focusing on student fluency. In an area renown for its educational elite colleges and universities (Harvard, MIT, Wellesley, to name a few), it’s hardly surprising that the teaching profession is so highly valued. Another step toward greatness (at least for Belmont, Concord, Lexington, and Weston) is a voluntary desegregation program. Through a state-run program called METCO, students from inner-city Boston can go to school in one of the wealthier, better equipped school districts in the nearby suburbs. Weston Superintendent Cheryl Maloney has only praise for the program. "Most of the [METCO] kids start in kindergarten and head to college like their Weston peers upon graduation," she says. Farmers' Market. They've performed at Colonial Williamsburg, in the NYC St.
Patrick's Day Parade, and at the U.S.S. Constitution. 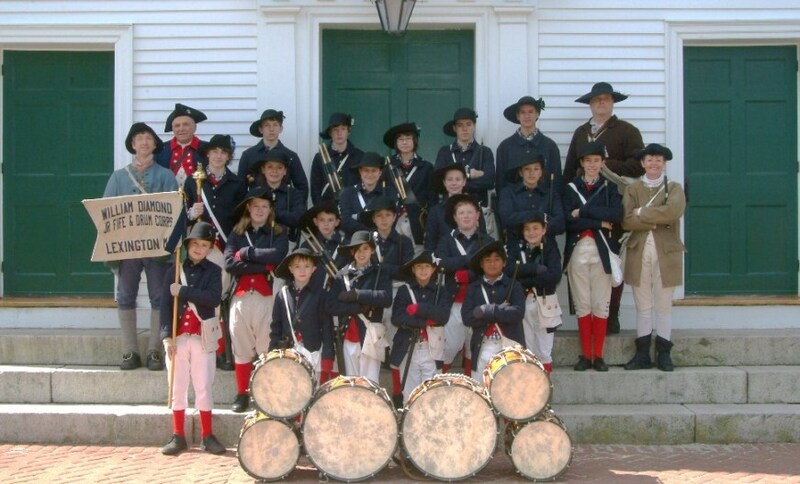 Now, your girl or boy, aged 8-18, can be a part of the William Diamond Jr.
Fife and Drum Corps, too! either the fife or drum. Come to our Open House and find out more about joining! than by playing the fife or drum? Please contact me with questions and hope to see you on June 6th! affiliated with the Lexington Public Schools. Be sure not to miss this elegant home! Nantucket Shingle Style Home. Only 10 Years Old - Mature Setting on Near Acre Lot. Formal entry opens to 2 story dining hall w/wall of glass beyond. Exceptional details, dramatic contemporized living, 10' ceilings on 1st fl. Formal f/p living room, private study w/built-ins, country kitchen w/counter seating, island seating, and large eating area. Sunny fireplaced family room with charming built in window seat, great mud room, garage, side and rear yard access. Second floor has balcony walkway leading to private master with his and her’s walk-in closets, spa bath and outdoor balcony. 3 spacious bedrooms. Second floor wing is perfect for in-law, studio or office; full bath. Be sure to stop by and see this terrific three bedroom home! Set back from the road behind a stone wall, beautiful Cape style home on gorgeous half acre lot. Spacious open floor plan with central air, sunny kitchen and family room with floor to ceiling glass breakfast nook that leads to huge deck & rear yard. Fireplaced living room opens to dining room. French door to sunroom. 1st floor bedroom has access to full bath. 2 very large bedrooms on second floor (could be split in two to make a third bedroom) and a full bath. Unfinished basement. Attached garage.